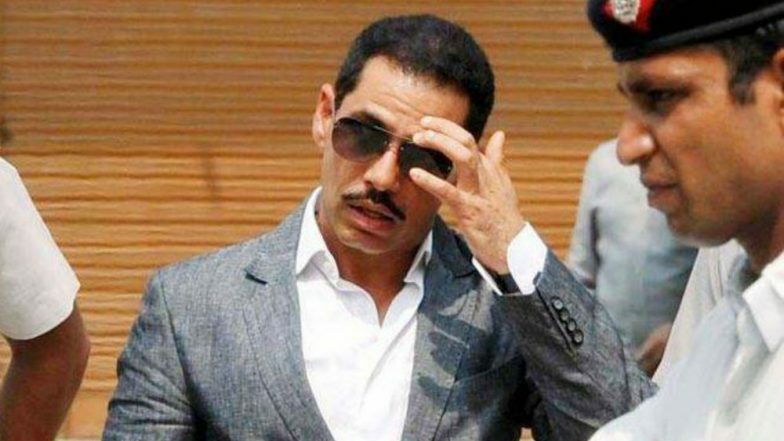 New Delhi, March 20: Robert Vadra, brother-in-law of Congress President Rahul Gandhi, knocked the door of the Delhi High Court on Wednesday seeking quashing of a first information report (FIR) in a money laundering case. Vadra's plea is likely to be heard on March 25. A trial court on March 19 extended Vadra's interim protection from arrest till March 25. The Enforcement Directorate (ED) has questioned him in the case several times. The agency has also requested the trial court to dismiss his anticipatory bail as it may require his custodial interrogation in the case. Trouble Mounts For Robert Vadra, ED Attaches Assets of 2 Firms Linked to Him in Bikaner Land Scam Case.